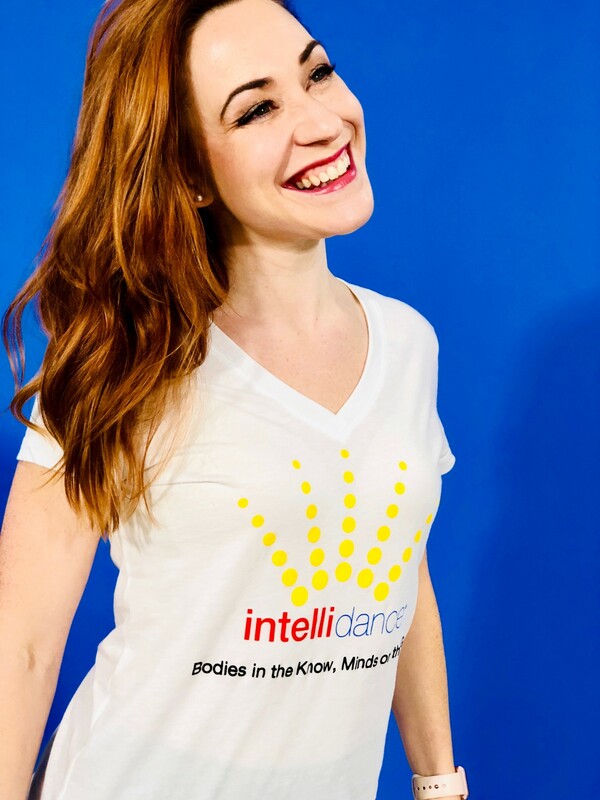 Jessica is the founder and creator of Intelidance! She lives in Edmonton, Alberta Canada and will teach anywhere there is an open space and are children! Tell us your teaching story! I started my dance career teaching for community centres and in special education classes. Then I ran a mobile studio for 2 years when first starting my own studio, J’Adore Dance. In 2009 I opened my own, one room brick and mortar studio, and in 7 years built it to offer over 70 classes a week to 1200+ dancers! I sold my studio in 2016 to pursue the international expansion of Intellidance. The last 3 years I have been teaching in public fine arts schools as both a music and dance specialist, lecturing at the University of Alberta in dance education, running Intellidance workshops and trainings in a wide variety of settings, and running a few of my own mobile Intellidance classes a week! My next big step is leading Intellidance training internationally, the first of which will happen this summer! While I teach dancers of all ages, my joy and focus is babies (age 3 months) to children age 8. Early childhood is my passion and my life’s work. Nothing brings me more joy. I also love to teach adult dance fitness, pilates and barre as I want to help others feel empowered in their body’s and feel the JOY of movement! What is your Education? Any additional training that is essential to your development? I have a B. Ed with Distinction in Elementary Education with a triple minor in special education, early education, and fine arts. I am certified in Mat Pilates, Fusion Pilates, Barre Level 3, Pre and Postnatal Exercise Design, various dance fitness programs, Pound, Rhythm 2 Recovery (a drum therapy program), and Infant Massage. I have studied with Beverly Stoke to achieve my Amazing Babies Moving Educator Level 1 Certificate. I have also taken Anne Green Gilbert’s Summer Teacher Intensive at the Creative Dance Centre and invited current director Terry Goetz to my studio to provide myself and our dance community more training in conceptual dance. 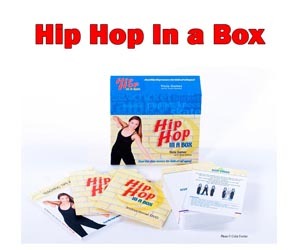 I’m constantly looking for and taking new courses to take in dance, early childhood, education, fitness, and business. Paint us a picture of your typical teaching day? I don’t know if I have a typical day anymore LOL! On Intellidance days I will generally gather up my mobile props and head on over to whatever centre or group has booked classes or a workshop with myself to set up. I love to be ready to go before my families arrive so I can greet them and give them 100% of my attention before class. This is especially important for my babies classes as I try to help the moms with their babies before class (like you know holding a baby so a mom can pee by herself. If you are a mom you understand what a big deal it is to go pee without your baby/toddler in the bathroom with you). I generally try to block my teaching, so usually I’m teaching 2-3 classes back to back. I love this as I will see 3 different age ranges (3-11 months, 12-24 months, and 2-4 years) in the same day and I find it inspiring to see how much growth my little dancers achieve at this young age. Each week is a new adventure! After saying goodbye to my families I will pack up and head home to work with my online Intellidance students from around the world. I mark their online assignments, have Skype meetings to mentor them, develop new curriculum and business materials, have meetings with my assistant to discuss our plans for the coming week/quarter, film new videos, etc. My university days are similar, but instead of teaching children, I am teaching education students HOW to teach creative dance! I LOVE mentoring new teachers! 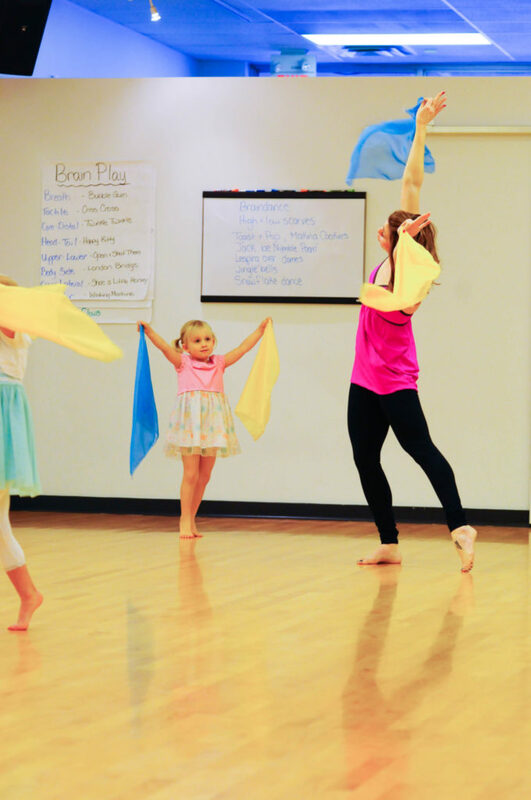 I especially love working with elementary teachers who may not think they can teach dance, but providing them with the theory, tools, and best practices that allow them to confidently deliver creative dance classes for children. This support my goal of Dance for Every Child! In a few sentences, describe your teaching philosophy. My child-learning philosophy follows the following three tenants: -Each child is a unique individual and will be respected as such. -Children learn best in an open play-based environment. -Children learn through participation, observation and interaction. I believe that dance and music are a basic human needs and fundamental to a holistic approach to early childhood development. 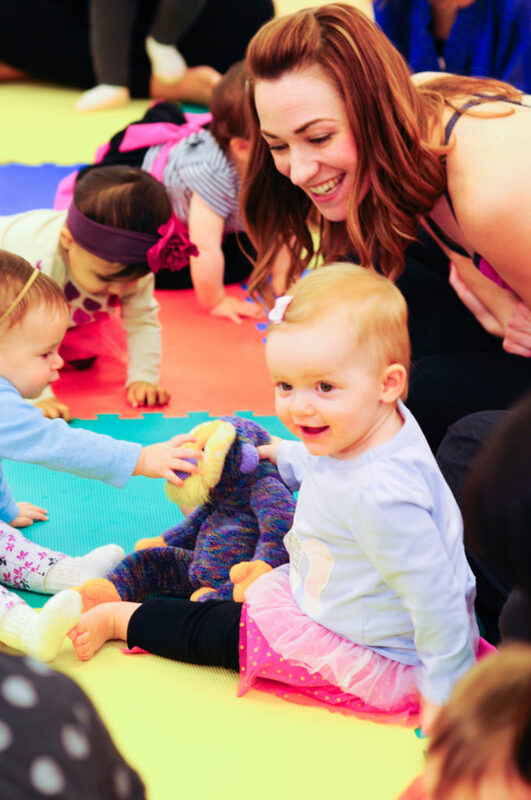 I teach from a place that combines the latest research and best practices in early childhood development and education balanced with the understanding that the arts reflect our soul and create connections which are the foundation to our humanity. It is a balance of art, science, and heart! If I came to observe you teach today, what is the first quality I would notice about you as a teacher? Clients continually tell me they are drawn in by my joyful spirit, kindness and infectious energy. Teacher tell me they notice how easily my classes flow and how engaged my students are due to my positive management style and ability to easily connect with all my dancers on a person to person basis. What are two things you love about teaching, and one thing you don’t like very much at all? The thing I love most about teaching is sharing the JOY of dance with others and the connections it allows us to create with others. I feel by teaching little ones I have the unique opportunity to create major change in a child’s life. I think the only thing I don’t like about teaching is older students who have a negative mind-set and refuse to believe that with practice they will improve (and this is why I don’t teach Youth LOL). What surprises you the most about teaching dance to young dancers? How capable they are at such a young age (we do not give children enough credit- they are very wise!) and how they always find hilarious ways to surprise me and keep me on their toes with their antics. If you were going to speak to a group of aspiring dance teachers, what would you tell them? First connect with and create relationships with your dancers as PEOPLE, then worry about teaching them dance. It is always more important to teach to the needs of the children in the moment than it is to worry about if you are following your plans. By first building a strong personal foundation with your students, gaining mutual trust and respect, in the long run you will build better, stronger, more intentional dancers. Share with us one teaching moment that you will never forget. Teachers of young children need a pocket full of management techniques and tricks to keep things on track. What is one trick in your pocket that almost never fails? PLAN YOUR TRANSITIONS! I plan my transitions to the same extent I plan my actual lesson plan activities. Each transition is a song, rhyme, or little game. This keeps the children (and parents) fully engaged and on task. The class activities flow from one to the next. Never under estimate the power of a good clean up or circle song! Since teachers continue to learn too, what is one teaching goal that you are working towards? I’m working on creating more connections between the research in early childhood development and how this impacts teaching practices (which has been my career focus, but there is always so much to learn). I am also trying to expand my knowledge in music education pedagogy to add more of those components to my programs. Who is a dance teacher you look up to? What about them inspires you? I could never pick one, as two women have been truly critical to my development as a dance teacher. First, Sally Carline, my creative dance teacher from age 4-12. 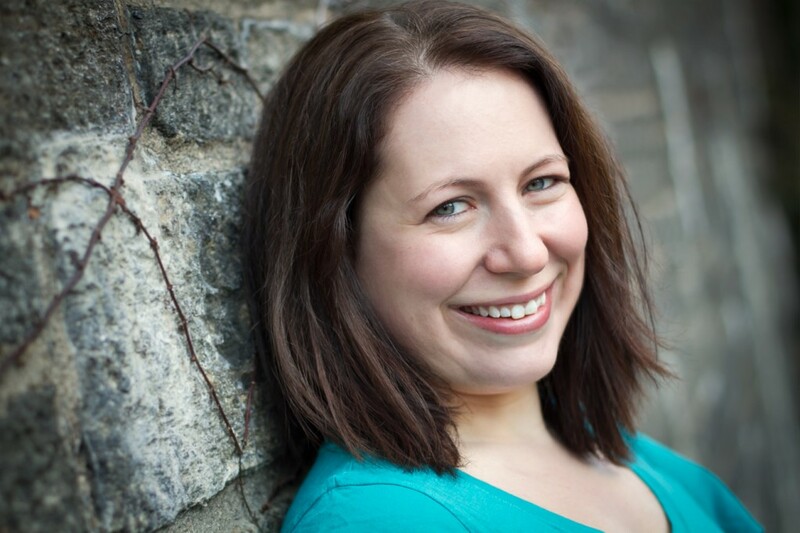 She is the published author of Lesson Plans for Creative Dance. Sally is the teacher who made me fall in love with creative dance! Every Saturday my times with her were the happiest of my childhood, as she is a master of creating narrative dances that capture children’s imaginations and bring joy to dance. Sally taught me that dance is part of my soul! Second, Anne Green Gilbert, whose Brain Compatible Dance methodology has taught me how to marry artistry with technical skill, how to implement best teaching practices in dance education, and whose BrainDance inspired me to study the link between early movement and brain development. She is the mentor who taught me that dance is so entrenched in science! Share with us your most favorite dance lesson so we can all use it tomorrow in class! Again how to choose?!? Can I say follow my social media accounts because I spend about 30% of my work week devoted to creating free content to share with other teachers! I have hundreds of activity videos teachers can easily access to implement in their own classes. Also, sign up for my mailing list as I send a monthly newsletter with teacher tips, activities, resources packages and videos! Find the newsletter HERE. If you are interested in reading other interviews you can find them here! If you would like to be featured, fill out the form here! She is amazing, great article. So inspiring what she has done with her dance career.